I have begun to meet up with several of my 555 residents to document some of their downsizing solutions. It has been so much fun re-connecting with them, touring their homes and having them share their downsizing stories with me. 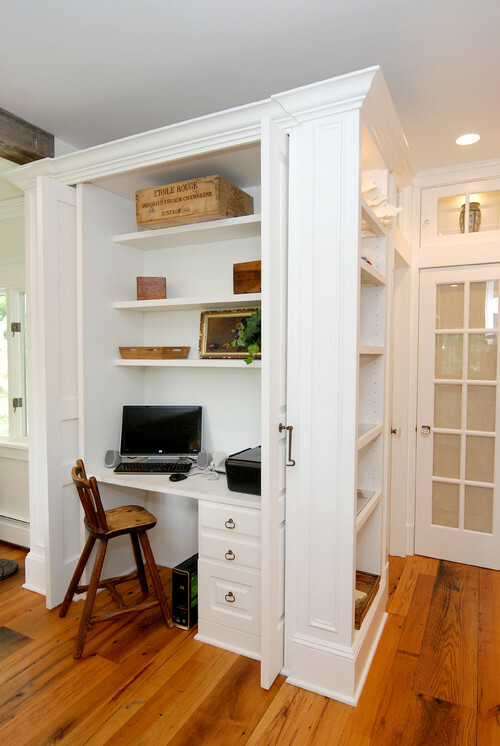 One of my favorite solutions that I have seen is the closet office! 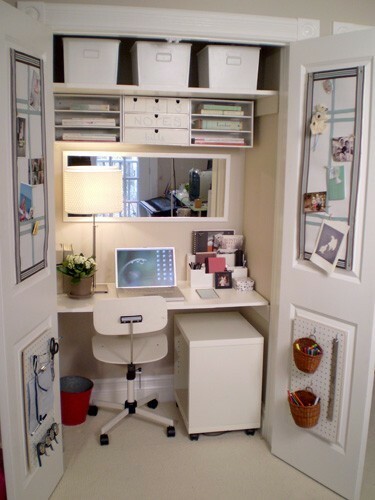 In a smaller living quarters, sometimes the office space is the first to go but with a little creativity, one can put that workspace back into the plan! One of my “downsizers” did just that! 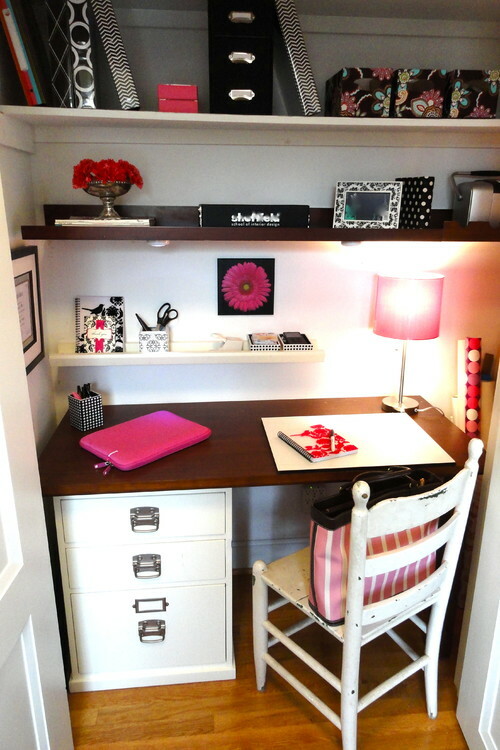 By lining the space with shelving and inserting a desk top she has given her husband a workstation that didn’t originally fit into their home. 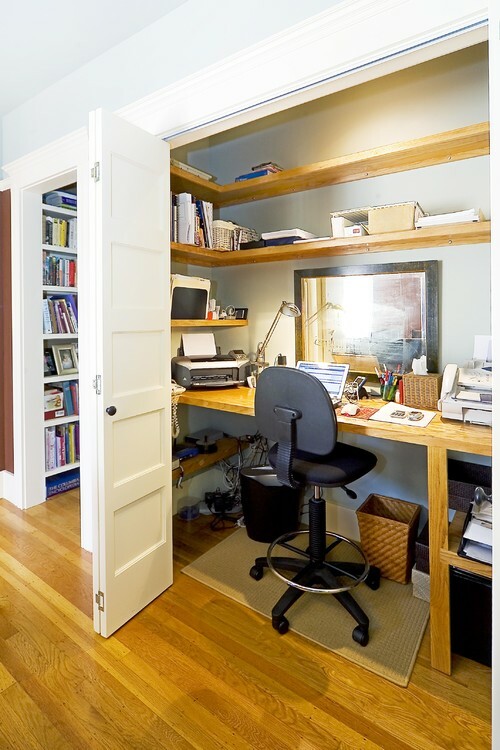 The best part – when it gets messy she can just close the door! What do you think? 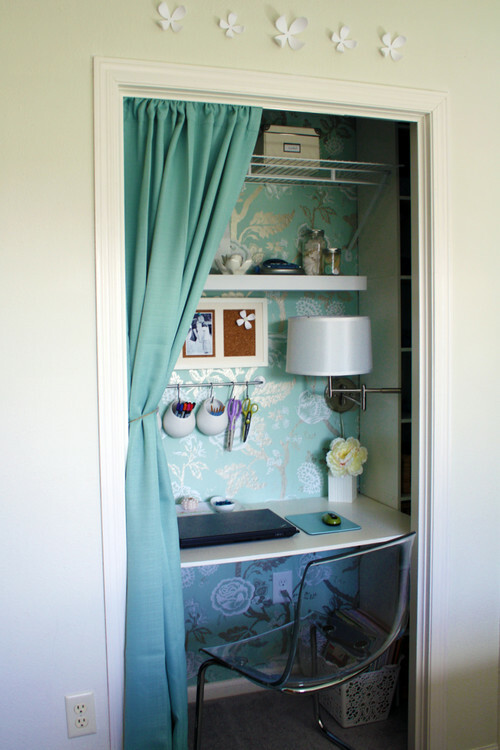 Do you have a closet just waiting to be cleared out and transformed? 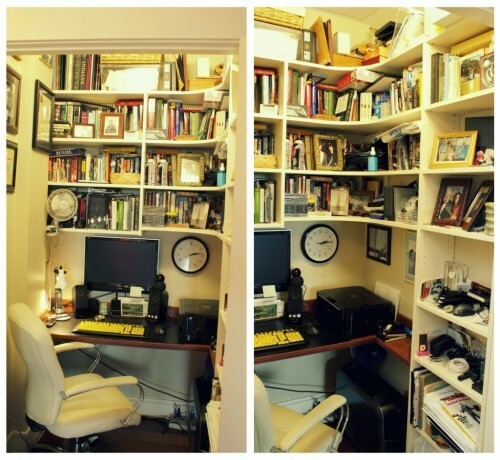 Where did you get the supplies for the 6th photo?